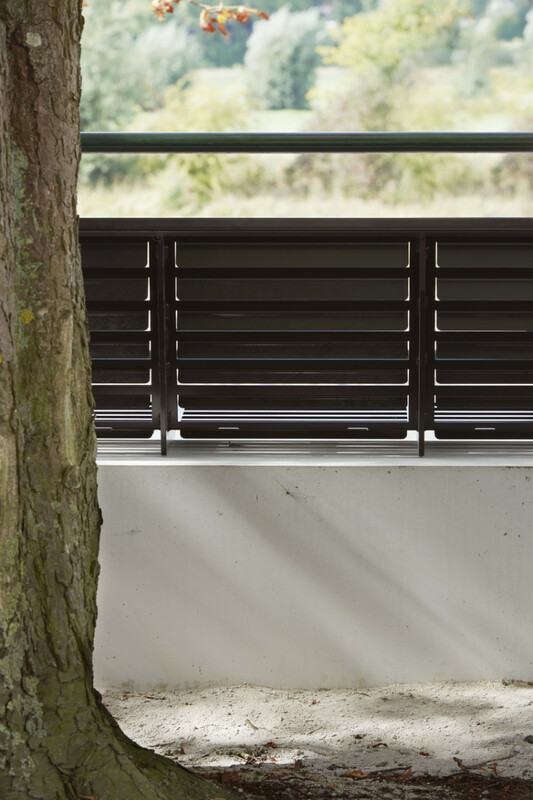 Louvre Lines is a series of furniture inspired by the classic Louvre shutters. The subtle folding lines in the metal frame create a dynamic see-through effect. 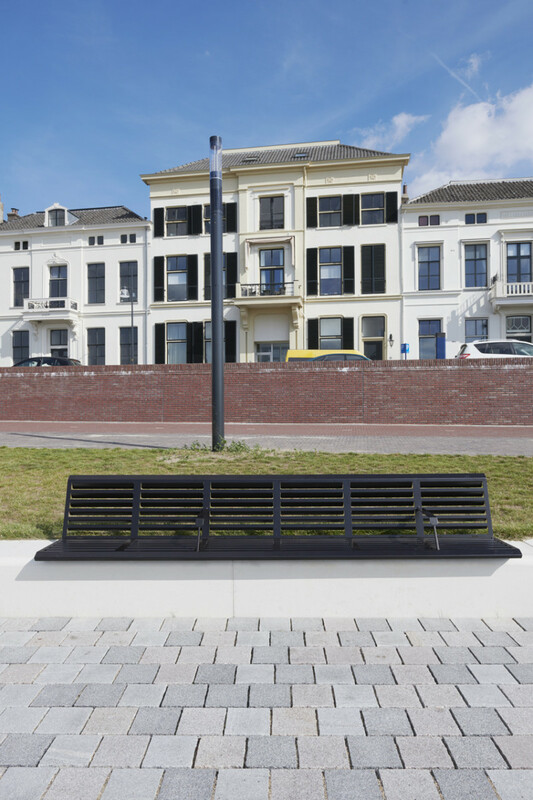 This subtleness makes this furniture a tasteful element for public space. Louvre Lines is available in different models and can be applied in line or free-standing. As time passes the folding lines create a beautiful play of light and shadow. 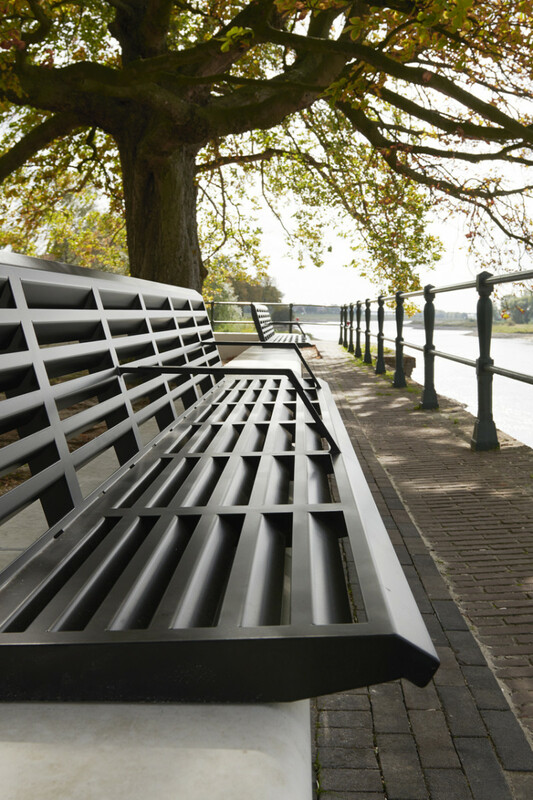 The classic modern appearance of Louvre Lines is an elegant touch for modern and classic inner cities. Louvre Lines is very comfortable and maintenance free because of its epoxy zinc primer in combination with a powder coated finish. The arm rests are placed irregularly and make it easy to stand up. They also prevent uninvited guests during the night. 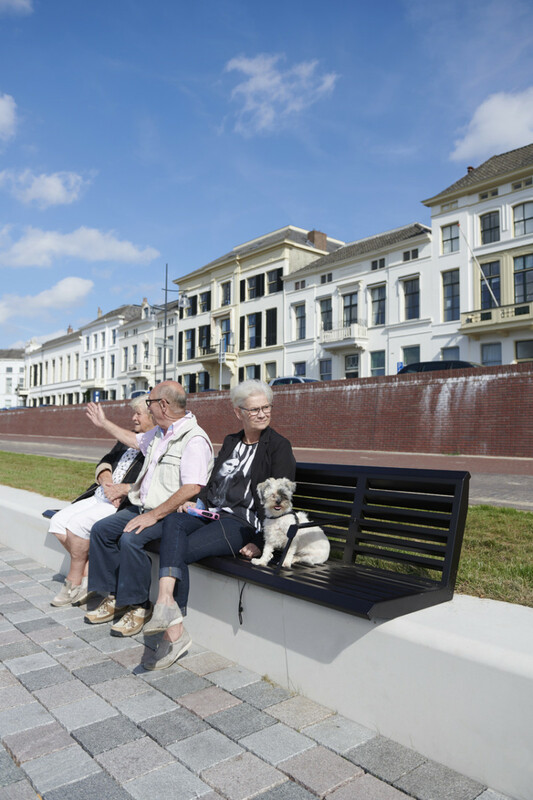 The first Louvre Lines have been placed in the Netherlands along the river in the old city of Zuthpen; a design by HOSPER landscape design and urban planning. The current furniture can be place on a concrete element. 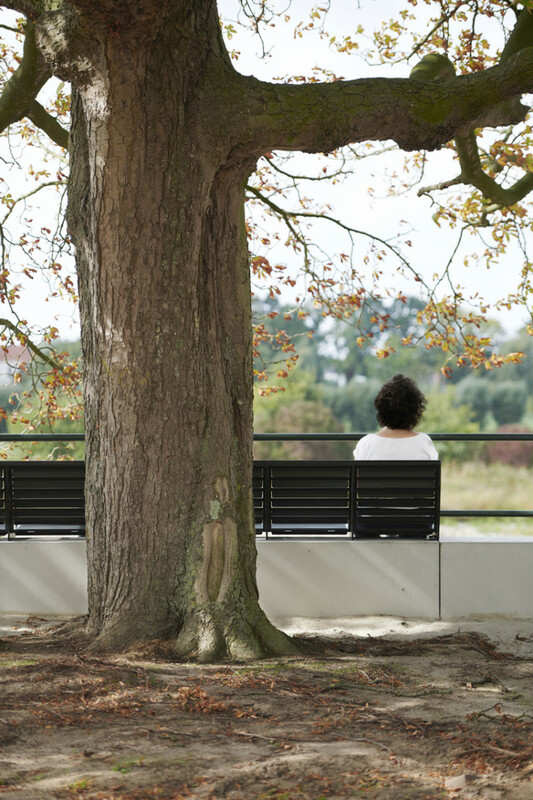 Soon a free-standing bench and a free-standing chair will be added to the collection. Are you interested in purchasing Louvre Lines for your municipality or urban project please contact Samson Urban Elements (www.samson.nl).